We always complain about how Hong Kong is the living example of contemporary feudalism, where property developers are our feudal lords, and we slave ourselves to pay for the exorbitant rent. And at last, one of these modern feudal lords has done something good for the society. If it wasn't because of Swire [Swire Properties], people in Hong Kong will probably never have the chance to be the eye witness of the extravagant V&A retrospective for Vivienne Westwood couple of years ago, and now the largest exhibition on graffiti artist Tsang Tsou-choi, a long overdue tribute to the self-proclaimed "King of Kowloon" -- both were rejected by government museums [The South China Morning Post reported that the government thought that Vivienne Westwood was not relevant to the people of HK]. 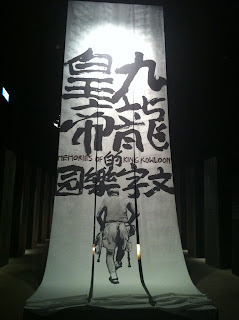 I had the chance to go to a sneak preview of the Kowloon King exhibition at Island East's ArtisTree couple of weeks ago. 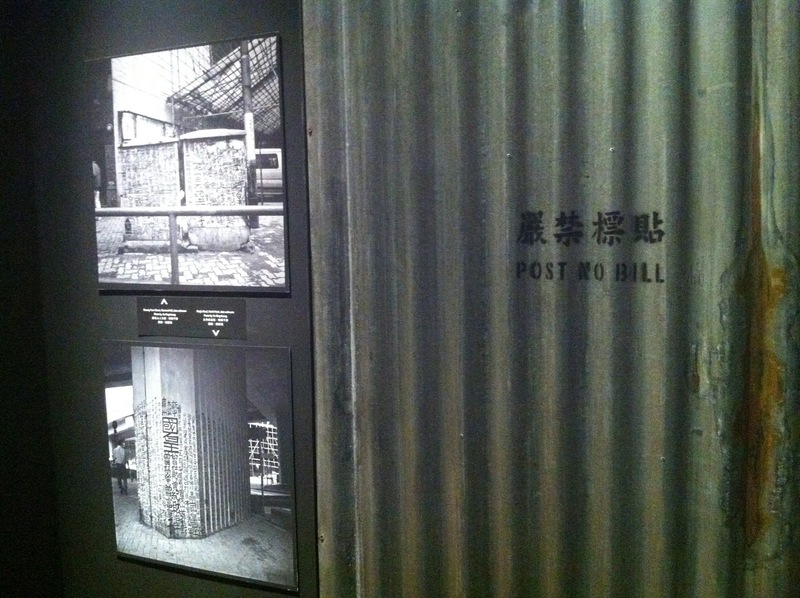 The exhibition was divided into a few different parts: pictures of Tsang's graffiti sites, a map pointing out where those sites are, Tsang's graffiti on paper, his personal belongings, newspaper cuttings and commercial products inspired by "His Majesty's" signature graffiti that graced the walls and lamp posts located all over town. 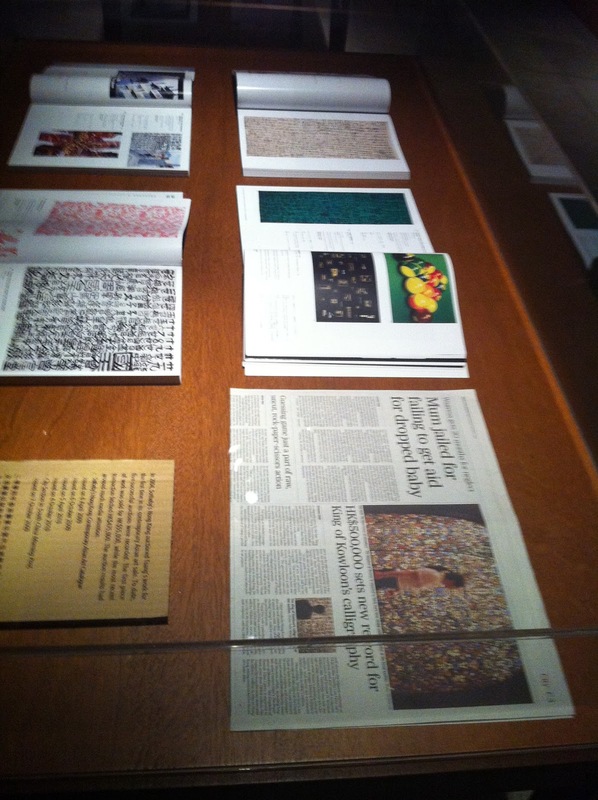 Plus a range of art works by artists and students inspired by the tale of the late king. 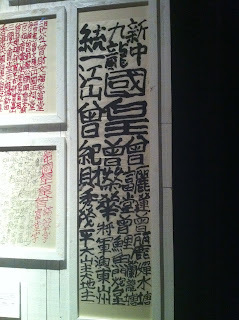 It wasn't an easy exhibition to stage -- Tsang's graffiti belongs to the street, and if the works have to be displayed in an indoor setting, extra work and creativity will be required. The setting at ArtisTree was not perfect, but I was touched by the organisers' sincerity in striving to re-create the street settings where Tsang's graffiti once lived while paying the respect that the late King deserved. And though the exhibition was sincerely put together, it is a reflection of the sad reality: Why do we have to go to an exhibition to see what is supposed to be alive on the street? 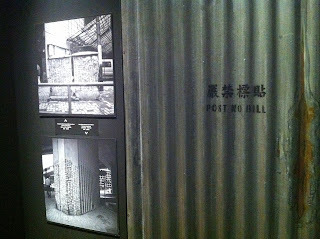 Thanks to our government, Tsang's graffiti sites have been painted over one by one over the years, and now, according to exhibition co-presenter Joel Chung, that only four sites live. The government's argument is that, graffiti is against the law, and by protecting that it means it's going against the basic principle of such a law. But then, a law is created under a social consensus. 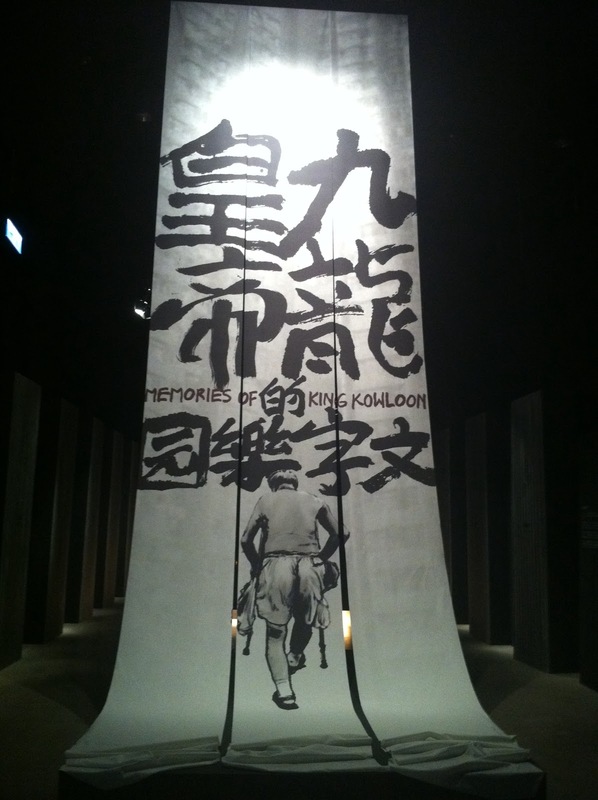 So if, Tsang's graffiti is regarded as part of Hong Kong's heritage, and if safeguarding the remaining sites of the King of Kowloon is what the general public want, then the government's mindset should make an adjustment. 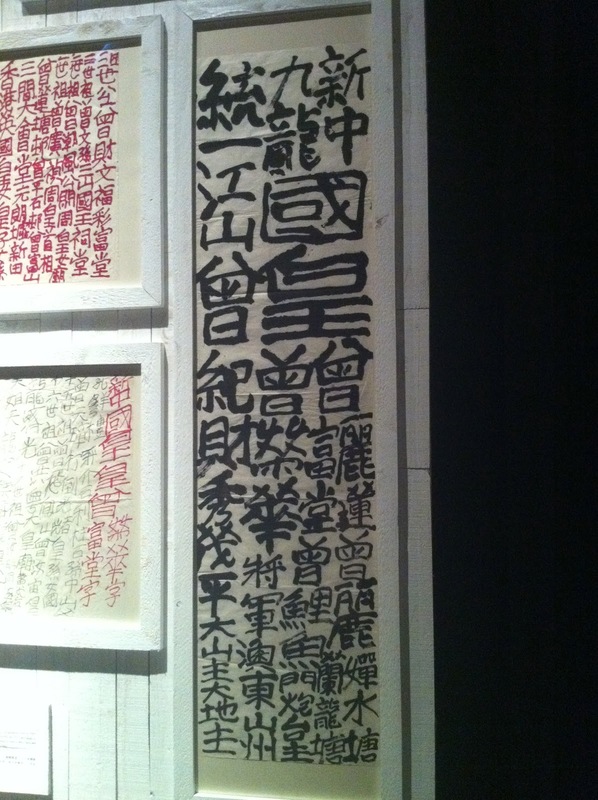 Even though they vowed to preserve the sites upon Tsang's death in 2007, we can see that only very little has been done. But then, our government has this habit of turning a blind eye to what people want. Just can someone please answer me why we still have to waste a huge chunk of taxpayers' money on the salary for those who come up with policies that not just rip us off, but also destroy our heritage? And as we question the government, we should also question how such an exhibition will affect the value of the collection of Tsang's works -- now controlled by only a handful of people -- in the art market. They might not commend a price as sky high as those by the top mainland Chinese artists, but still, it is a valid question. P.S. I must say that I was thrilled to see one of my articles in the South China Morning Post being displayed in one of those glass boxes at the exhibition. It was the kind of respect that I never expected. I guess the media can still make a difference in the society.